In the June 2 edition of The Huffington Post, Lesley M.M. Blume writes: "I just saw a recent picture of comedienne Joan Rivers that made me want to throw up. 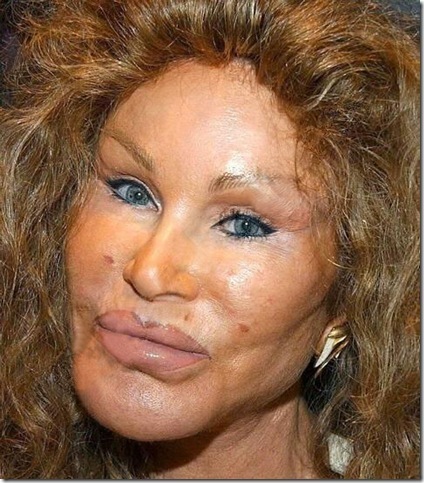 Her face is now stretched tighter than a piano string; her mouth and snout bear more than a passing resemblance to that grotesque 'cat-woman,'Jocelyn Wildenstein." 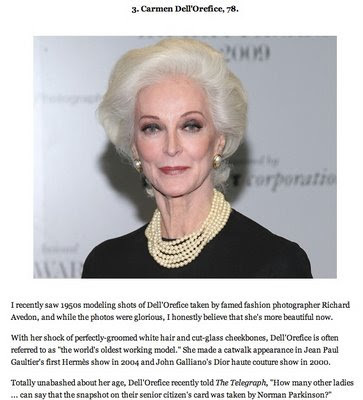 She goes on to profile women who have not had plastic surgery and even if they are 50 years and older, look fabulous! 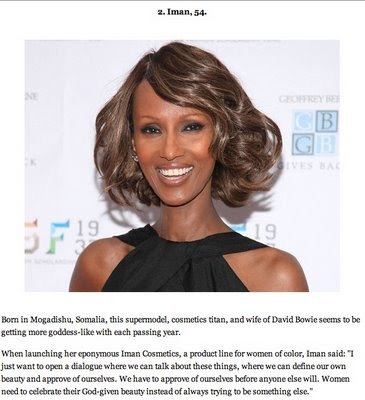 This list includes the absolutely stunning Iman, Gloria Steinam, Sophia Loren and gorgeous model Carmen Del Orefice who is 78 years old and still modeling. Pure elegance and amazingness, these women. Read the full story on the always informative website, The Huffington Post.